Figueres (Catalan for fig trees) is a small, yet very scenic city in Catalonia, approximately 90 miles north of Barcelona. 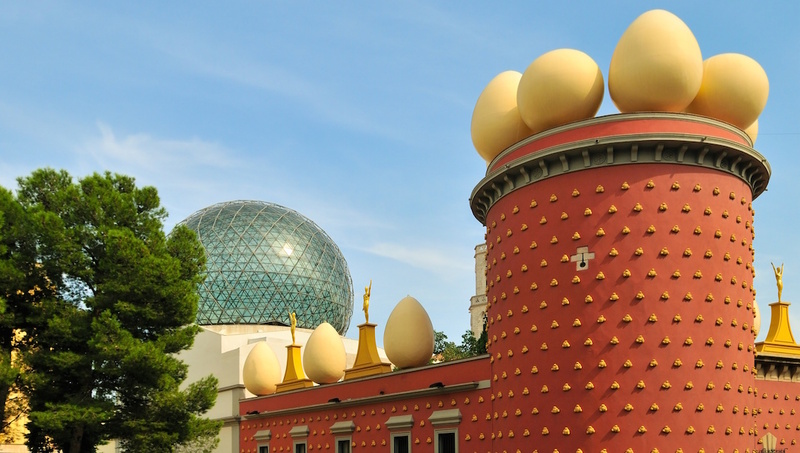 There are eye-catching and huge distinctive buildings and artifacts, paying homage to Figueres born surrealist artist, Salvador Dali (1904-1989). Buried here in a crypt below the stage, Dali's legacy can be felt in this building considered to be his last great work. Take a magical journey through this museum of surrealism and science. 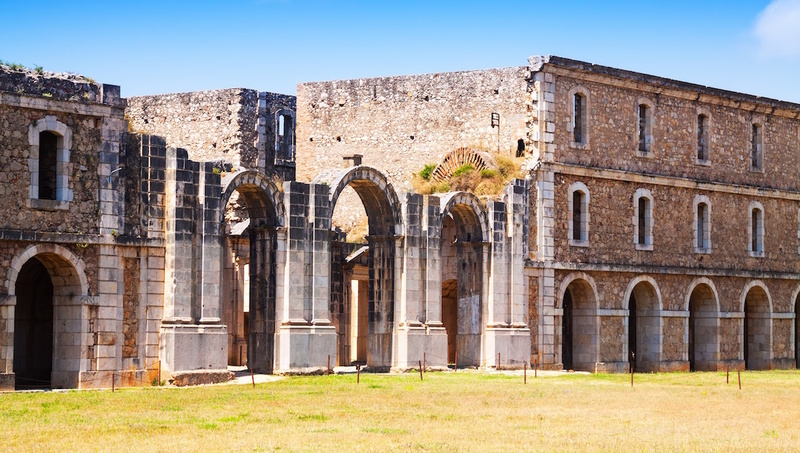 This lovely gothic-style 14th century church is where Dali was baptised and is located next to his museum. It's on the Plaza de Sant Pere de Figueres -- a perfect spot to watch the everyday energy of the city. This huge hilltop castle was built in 1752 during the reign of Ferdinand VI of Spain. At its peak, more than 6,000 soldiers were based here at one time, until it was turned into a prison, which was active until 1997. 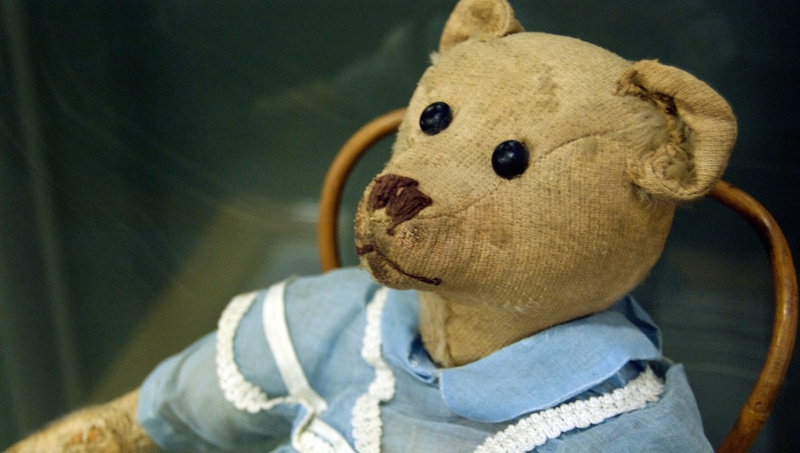 Now that you've embraced Dali's eccentricities and quirks, you should head to the toy museum containing centuries old toys, some of which were donated by famous Spaniards. 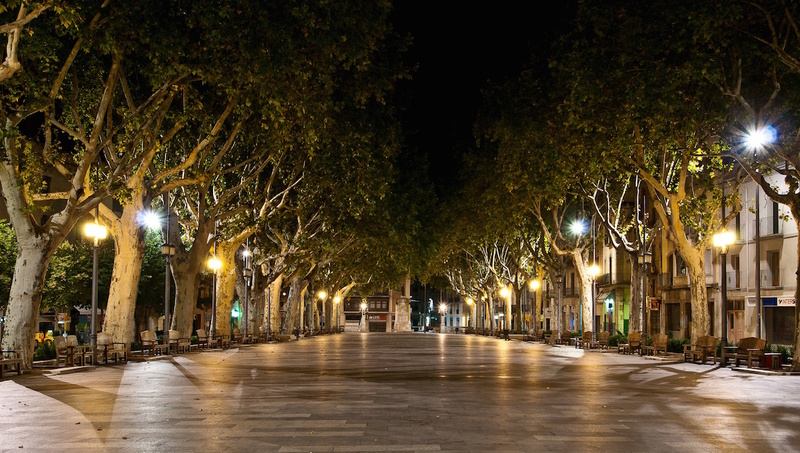 This is a scaled down version of La Ramblas in Barcelona, lined with tall trees, bars, and cafes. Watch the world go by, at your leisure, along this lovely and vibrant area. By now you're in love with the weird and wonderful art of Dali, so why not delve into more Catalan art from the 19th and 20th centuries? Archeology collections are on display as well. 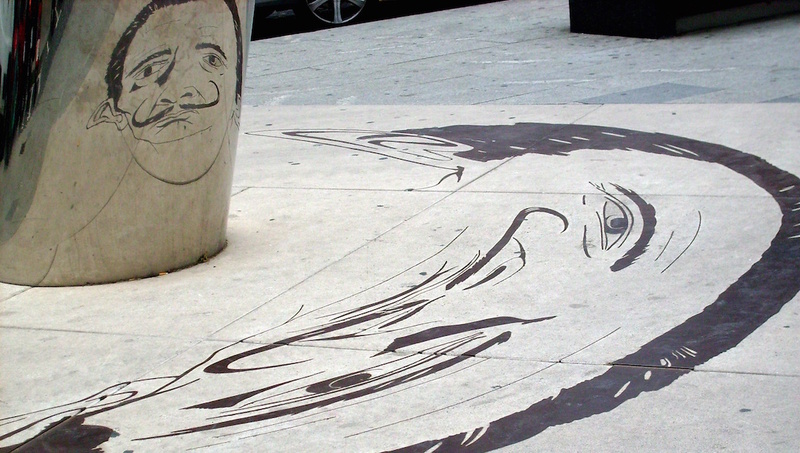 You can greet Dali at the bottom of La Rambla -- where there's a distorted installation of the master's face. If you look in the mirror behind it, it will appear normal. What are sightseeing options in addition to Dali art? The beaches on the nearby Costa Brava are wonderful, and you're also near the French border -- so why not explore places like Andorra and Perpignan, for example. There's also an abundance of leisure pursuits to dive into, including: watersports, tennis, horse riding, hiking, and golf. How do I get there from Barcelona? You could rent a car which takes approximately 1 hour and 40 minutes to cover 90 miles on the AP7 motorway. You can also take the (RENFE) train which takes around 1 hour and 54 minutes, or jump on a bus for 2 hours and 45 minutes. To be honest, any time of year is good. Due to its northern location, temperatures are slightly lower here than in other parts of Spain. Average summer daytime temperatures are around 80 degrees Fahrenheit. During winter temperatures are around 60 degrees Fahrenheit. So you'll have it pretty good year-round to explore Figueres! Want to discover all there is to do in Figueres? Click here for a full list. Jewellery museum in Figueres was magnificent and showed a less quirky and rather brilliant side to Dali's artistic flair. Memorable tour. Interesting, value for money, all day tour. Anna, the guide, was very knowledgeable and left us plenty of time to also explore individually. Museum was too busy to get full enjoyment. Maybe some days are better than others. Girona and Figuera day trip is wonderful! I loved the medieval town of Girona. The tour time was just the right amount and guide was very informative. We also had 2 hrs free time for lunch and some shopping. The highlight of Figuera is the visually enthralling Dali museum. Also just enough time spent here. Had time after museum for some tapas. Our guide, Arnau, was friendly, helpful, and very knowledgeable. He was also a very good and safe driver. Everything went smoothly and all four of us had a great day. Our Guide was excellent and very knowlegeable, nice small clean bus. I highly recommend this tour, the Dali Museum and home is must to see if you like surrealism. Excellent and knowledgeable guide with humor and very caring. Gracias.